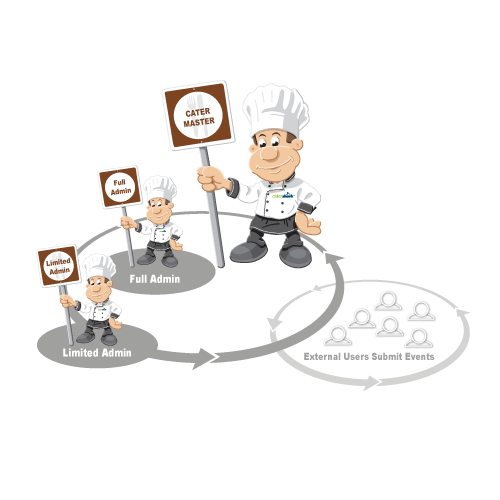 The below breakdown is not a full list of all our functionality, but it gives you an idea of what is defined and is setup at what level in the CaterShark catering software system. Yellow Zone Warning – displays a warning message when creating an event if the Event Date is only X days out. Red Zone Warning – stop user from creating an event if the Event Date is only X days out. The below breakdown lists what functionality the various access roles allow the login to do within the catering software system. This is a customer who has been given access to login and submit Catering Events to you.